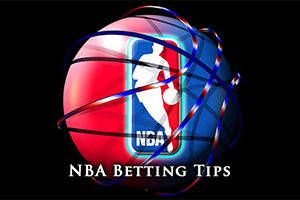 There were plenty of great games on Monday night, which we will examine shortly, but if you are looking for some Tuesday night betting action in the NBA, you will not be disappointed. This week is up and down with respect to the volume of games on individual days, so if you are looking for variety and value, today, February 10th, may be one of your best chances of finding the basketball bet that is best for you. As for Monday night, there were plenty of away day wins, a couple of big results and there were even some close games that went right down to the wire. The Wizards held off the Magic in Washington, winning by a score of 96-80 but the Pacers couldn’t work their magic formula at home. This is because they lost out to reigning NBA champions the Spurs, by a score of 93-95. This was a very tight affair in Indiana and it was a match that the Spurs were delighted to win. The Nets slumped on the road again, losing out to the Bucks in Milwaukee by a score of 103-97. The Jazz were triumphant on the road, defeating the New Orleans Pelicans by a score of 96-100. The Thunder were also triumphant on the road, winning in Denver by a score of 114-124. The Warriors were another team that managed to win on the road, defeating the 76ers in Philadelphia by a score of 84-89. The Knicks were unable to match this trend of away day wins, the New York side being defeated in Miami. The Heat won by a convincing margin, 109-95. The Hawks were road winners, taking on Minnesota and downing the Timberwolves by a score of 105-117. The Mavericks also lost out at home with the Clippers winning a by a large score in Dallas. The 98-115 margin represents a comprehensive victory for the side from Los Angeles. The Pistons have turned around an awful season into an average season, and they head into this game not far off the Hornets with respect to records. The Pistons hold a 20-32 record, including a 10-15 record away from home. The Hornets hold a 22-20 record, which includes a 13-14 record at home. Both teams come into this game on the back of a defeat, the Pistons lost their most recent game and the Hornets have lost their last two encounters. With respect to ten game records, the Pistons hold a 4-6 record while the Hornets hold the marginally better 6-4 record. With respect to average points scored, the Pistons have the edge, 98.3 to 94.6 while the Hornets have an advantage for average points allowed, 96.7 to 101.1. Kentavious Caldwell-Pope SG is the only injury doubt for the Pistons while Lance Stephenson, Michael Kidd-Gilchrist, Brian Roberts and Bismack Biyombo are all concerns for the Hornets. Taking the Pistons with a +2.5 handicap, at odds of 1.90, is likely to be a smart bet for Tuesday. Bet Now! The Nets have a difficult task on Tuesday, heading to Memphis to take on the Grizzlies. The Nets hold a 21-30 record for the campaign, and this includes an 11-15 record on the road. The Grizzlies hold a 38-13 record, which includes a 22-5 record in Memphis. Deron Williams and Kevin Garnett are slight doubts for the Nets while Jordan Adams is being closely monitored by the Grizzlies while Vince Carter is a more serious doubt. This is a game that the Grizzlies should win convincingly, and taking them with a -11.5 handicap, at odds of 1.90, should be a solid bet for a Tuesday. Bet Now! While both teams lost their last game, there will be a feeling that the Rockets and the Suns are enjoying their season so far. The Rockets are definitely on a roll, holding a 35-16 record for this campaign and this includes a 17-8 record on the road away from Houston. The Suns hold a 29-24 record, which includes a 16-10 record in Phoenix. Trevor Ariza, Terrence Jones and James Harden are all minor doubts for the Rockets while Dwight Howard is a bigger risk. The Suns are keeping an eye on Eric Bledsoe and Tyler Ennis while Alex Len is a bigger doubt. In what could be a close one, taking the Suns with a -2 handicap, at odds of 1.90, should be a decent bet for Tuesday. Bet Now!